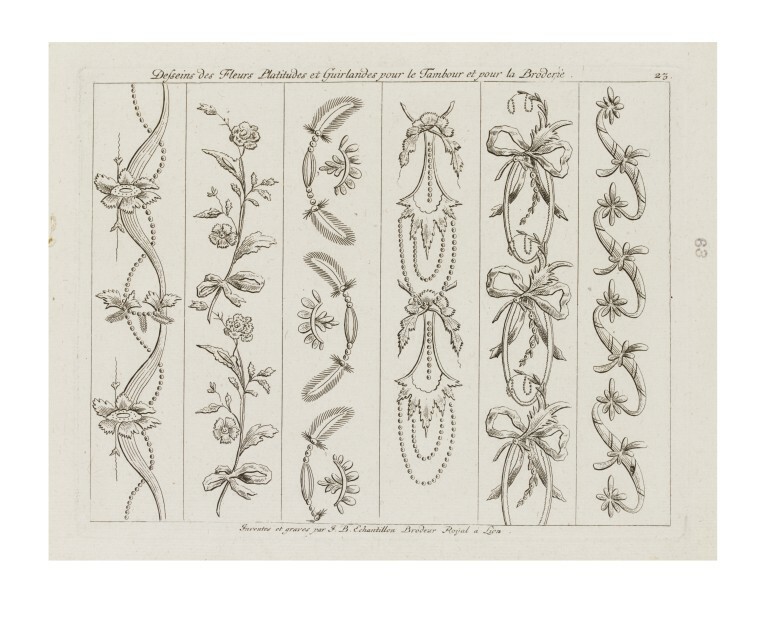 This engraving, published in France in 1786, is an imaginative variation on the theme of classical strip ornament. This was meant to be placed directly onto a piece of cloth and needled through. The ornate pattern could be repeated across the fabric as required. Ornament prints like these were published for artisans to use in the production of objects, either in the same or different materials. This pattern had a specific use in garment production. 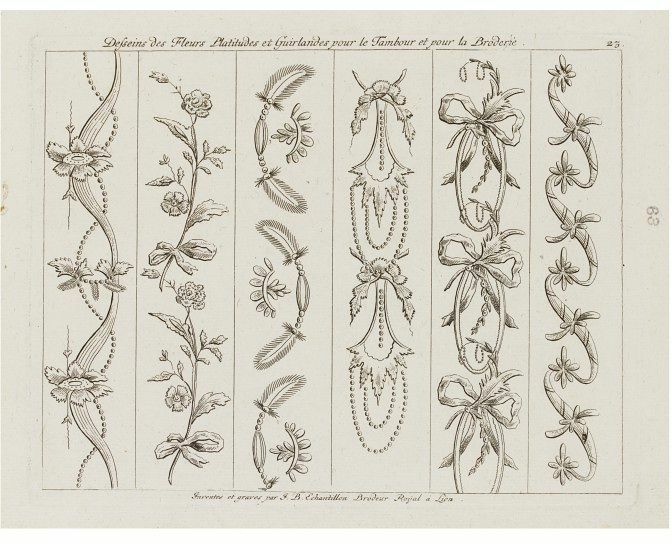 Print, a design for embroidery on the theme of classical strip ornament, engraving. These (E.746&747-1912) are highly imaginative variations on the theme of classical strip ornament. 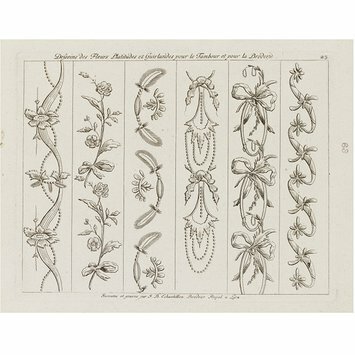 These are highly imaginative variations on the theme of classical strip ornament.